"Put your flags up in the sky, wave them from side-to-side, show the world where you're from, show the world we are one." 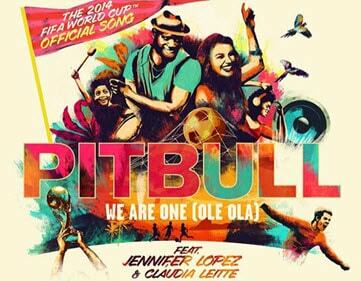 This is the official 2014 FIFA World Cup song featuring Jennifer Lopez and Brazilian artist Claudia Leitte. As we can see, a football fever is taking over all around the world In another month as FIFA world cup 2014 is around the corner. Getting ready to flags up in the sky and cheer for your favourite team and player? The football fans, however, seem to have run out their patience. Reassuringly, this official theme song 'We Are One' (Ole Ola) of the upcoming football World Cup 2014 was released on April 8, 2014. Since then, the song has got over 256 millions views on YouTube. Most football fans want to experience the upcoming world cup in advance through the song 'We Are One' (Ole Ola). However, some fans may be disappointed at the sickening speed caused by the network congestion. Instead of subduing yourself to the frustrating and stuttering online video, why not download We Are One for free enjoyment? To free download We Are One Ole Ola from YouTube, you need a tool which is capable of downloading world cup song 2014, 2018. 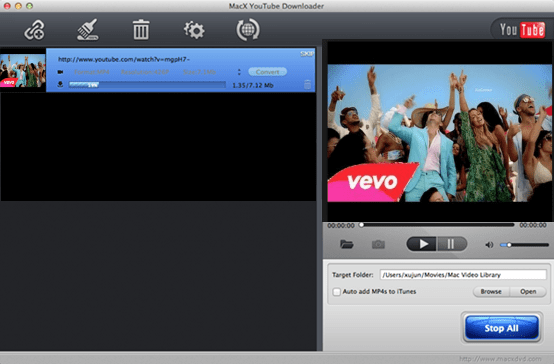 Instead of being bewildered by the dazzling downloaders online, here is a totally free YouTube downloader which is high recommended for its strong ability to freely download We Are One Ole Ola: MacX YouTube Downloader. With this free We Are One downloader, you can accomplish FIFA World Cup 2014 theme song downloading task easily, in just 30 seconds only thanks to its advanced downloading engine. What needs to be specified is that the 2014 FIFA World Cup songs downloader is able to download World Cup videos 2018, 2014 of different resolutions and formats, be it common videos on YouTube, or HD videos 720p, 1080p or 4K ultra hd videos. Free download the world cup theme song YouTube downloader on Mac first. 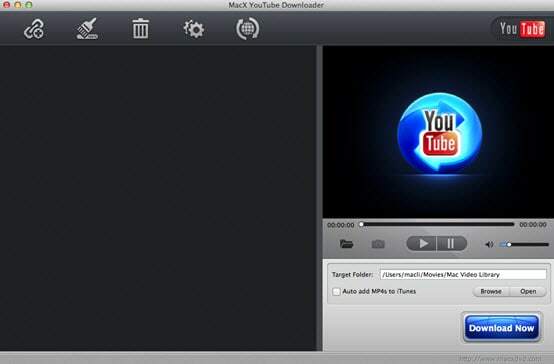 Launch this free YouTube downloader. Copy the URL of We Are One video page and paste the URL. Then click "analyze" to load the YouTube video details. Or click "paste & analyze" button to automatically detect the We Are One video opened in browse. Choose video format, resolution and file size you want. If you want to free download We Are One Ole Ola from YouTube, this free YouTube video downloader can give you a hand and offers the ability to automatically add the output MP4 videos to iTunes Library for transferring to iPad, iPhone, iPod or any other further use. Click "Browse" button to specify an output folder on your computer to save the output files. Click "Download Now" to start world cup 2014 theme song download task video on Mac. Tip: If you want to convert We Are One Ole Ola to MP3, AAC, AC3, WMA and other audio formats for enjoyment this world cup theme song on your mobile devices such as iPhone, iPad, iPod, Samsung, HTC, PSP etc, try MacX Video Converter Pro, it will surprise you with its advanced features. You can not only free download the World Cup song We Are One Ole Ola, but also other WC unofficial songs like Dare La La La, Waka Waka, etc and enjoy the FIFA songs on iPhone X/8/7, iPad Air, Samsung Galaxy S8, or other mainstream devices for free.